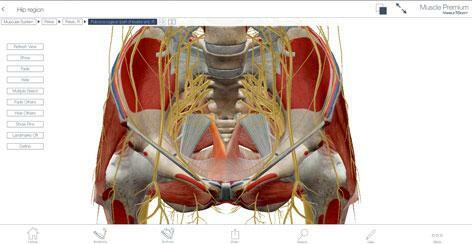 Muscle Premium is a 3D interactive dive into the muscles of the human body. 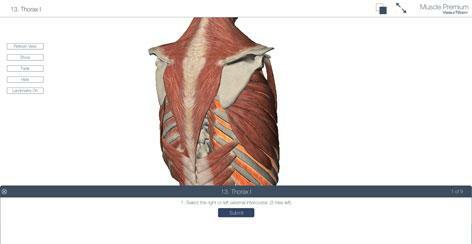 It is ideal for students, instructors, and healthcare professionals who seek to learn, review, or communicate in-depth information about muscles, their attachments and actions. 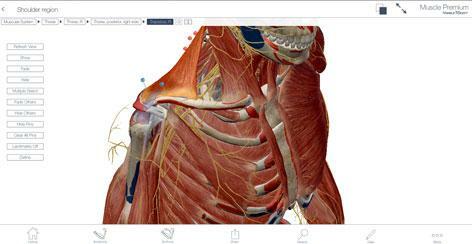 3D Atlas section that is fully interactive and includes 600+ muscles, 200+ bones, hundreds of peripheral nerves, ligaments, and bursae. Pronunciations and definitions for all structures, including details on blood supply and innervation. 3D Atlas section is enhanced by over 1,000 pins and a painted skeleton that reveal points and surface areas of muscle attachments. Muscle Actions section with hundreds of moving muscles organized into dozens of common actions. Quiz section with 50 quizzes and 465 questions. Dynamic search capability, drawing, and screenshot capture. License for two activations/one user. Note: If you have a computer or device running Windows with multi-touch interaction (touch screen), visit the Muscle Premium for Windows Touch product page.